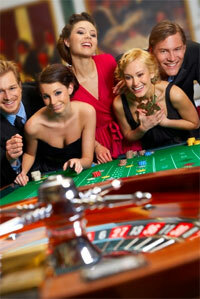 Casinos have huge range of choices for your gambling. A new player may find them overwhelming. So what is the way to know which game you want to play? There is one sure thing. It does not matter which game is there, casinos are definitely making money. Because if it were not money, there wont be any game. This money that casinos are making out of any game is called House edge. It is defined as the ratio of average loss and the initial bet. This edge that is built into any game ensures that casino is a profitable business in long run. An expert player not only knows how to play a game but also he is aware of where he should be playing. That in fact is the ultimate difference between losing and winning. Blackjack is the most popular casino games. This game offers best odds on any table. This game can not be called a pure game of chance. Amount of money you win is also dependent on how well you played a game. The house edge in case of black jack can be as low as 0.1 percent and as high as 3 percent. It all depends on the skill and house rules that are in place. Only a percentage or two can turn cards in your favor if you have expertise in counting of cards. Another nice choice for gaming is craps if you have knowledge of a reasonable betting strategy. This game is pure chance game. The only skill that is required is to know when you should bet and also more importantly when you should not be betting. Set rules define all decisions of play. The player has to only decide how much money he is willing to bet, whether he wants to bet on banker, or he wants to bet on player or he is betting on a tie. If you bet on banker, your stand chance of winning every time. Roulette is another very simple game. This game comprises of 18 red slots and then 18 black slots. There is a spinning wheel on which a ball has to be dropped. The players are betting on the color at which the ball will be stopping. The chances are equal that the ball may stop at red or even it may stop at black. This can be deceptive. If you examine the wheel in depth, you will find it that there is also another slot which has been marked with zero. This is where the casino is earning money. This is their house edge. It gives them 2.7 percent house edge. If you go to a casino and it is having two blank slots, it means that the house edge in that case is 5.26 percent.